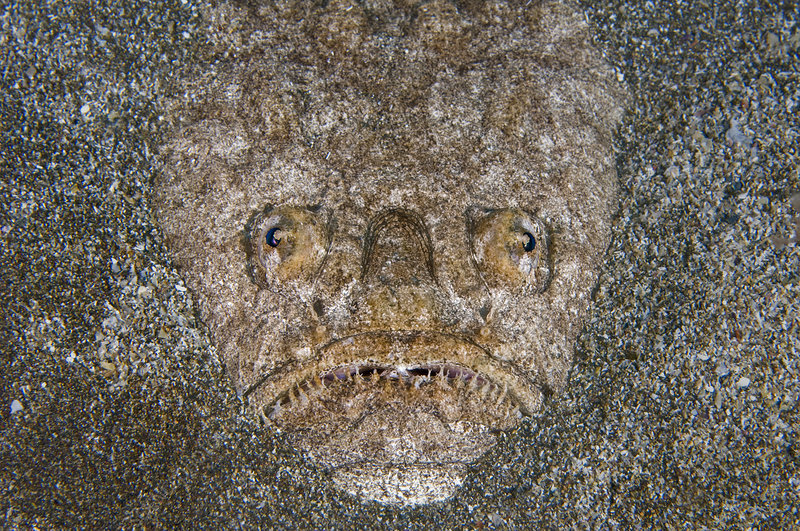 A portrait of an Atlantic stargazer (Uranoscopus scaber) buried in the sand waiting to ambush prey. This species can also use its hairy tongue as a lure. El Cabron, Gran Canaria, Canary Islands, Spain. East Atlantic Ocean.